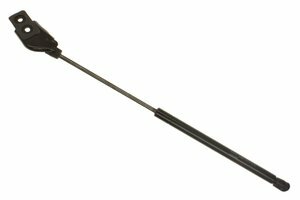 Stabilis Gas Charged Lift Supports are a best-in-class solution to your lift support needs. Designed and adapted specifically for your vehicle application, the Stabiles lift support is tested and fined tuned for optimal results. The number 1 OE supplier of lift supports, count on Stabilis when you want to lift or lower your trunk, hood, hatch back or glass in a steady and controlled manner! Stabilis knows support! Opening and closing your trunk, hood, window and hatch is now effortless! The Pep Boys Say: The Stabilis Lift Support is designed and adapted specifically for your automotive, recreational or universal application."